April 2017 What Exactly Are You Putting on Your Skin? 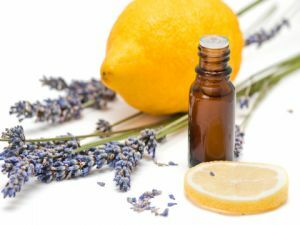 You might think of aromatherapy as a more modern type of alternative treatment, but the use of essential oils to improve brain function, health and well being has been around for thousands of years. We’re not exactly sure when people discovered or first started using aromatic plants in this way, but it’s thought this technique may have developed in ancient China. There is text documenting the use of incense to help create a harmonious and balanced atmosphere. The word aromatherapy is derived from the word “aroma” meaning smell or fragrance, and “therapy”, meaning treatment. 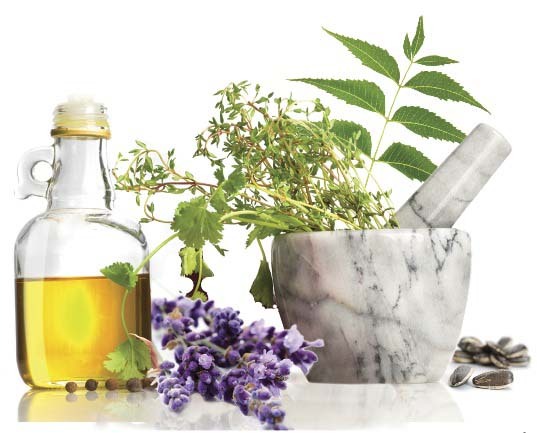 Treatment can involve essential oils made from bark, stems, leaves, flowers or roots of a plant. Egyptians also attempted to distill oils, and they used cedar wood, cinnamon, nutmeg, myrrh, and clove to embalm their dead. Traces of herbs still hung faintly in the air when a tomb was opened in the early 1900’s, and residue was found on the body. There is evidence the Egyptians were able to (albeit somewhat crudely) distill cedar wood, the general consensus is that other herbs were used as infusions. The Greeks also used infusions and distillation to benefit from the medicinal properties of herbs. Hippocrates himself used aromatherapy to not only enjoy the scent, but also to increase good health. One famous perfume with medicinal properties created by the Greeks, involved mixing a blend of herbs, including myrrh, into a fatty base. This not only smelled wonderful, but also had anti-inflammatory properties, and was applied to the skin to help heal wounds. Not to be outdone, the Romans had the help of a book written by one of their own, describing the properties and uses of over 500 plants. However, the Romans focused far more on extractions for floral water and not so much for essential oils. “Aromatherapy” as a term came into use only after 1937 when Rene-Maurice Gattefosse (a French chemist) burned his hand in a lab accident. He happened to have a pot of lavender water nearby, and out of instinct plunged his hand in to cool it. Afterward, he noticed the lavender water had appeared to help prevent the burn from getting as bad as it could (should) have been, and seemed to have helped heal the wound. This spurred him on to do further research about the medical benefits of herbs. The use of essential oils in aromatherapy offers many benefits, and they can be applied in various ways. Utilizing a diffuser is a wonderful method to not only improve your mood, but also make your home smell nice, and is also a great way to welcome visitors inside. Not only will a diffuser help to lift your mood as the diffuser sprays tiny droplets into the air with water, any beneficial properties will also be dispersed, and will increase the health of your environment. Citrus essential oil, for example, is anti-bacterial and can attack germs and bacteria floating around in your indoor environment, so you’re less likely to inhale them and suffer ill effects. Various essential oils are available to help uplift your mood in a number of ways. By trying out a variety of oils you can find what works best for you. Lavender for instance, is soothing, and can help make your space relaxing. Or, if you need some pep in your step, citrus scents or peppermint are great for this. Aromatherapy can also be used when the oil is applied to the skin either through massage, or a dab behind the ears or wrists. Angelica is a popular massage oil because it promotes calm, reduces anxiety, and helps promote a good solid sleep for those suffering the effects of insomnia. In Germany, Angelica was also referred to as the “oil of angels” because of the level of peace it brought those who used it. Another great oil for massage is Coriander oil. Coriander has warming properties, and will promote a better digestive system, and improve circulation. If you use a moisturizer, why not create your own using essential oils? In this way you eliminate dry skin, and benefit from the healing properties of your favorite scents. Try blending several oil carrier oils such as coconut oil, almond oil, jojoba oil or even olive oil. Add a few drops of essential oil and mix thoroughly. You’ll want to store your cream in a glass jar out of direct sunlight, and use whenever you need a boost! If you suffer from sore muscles try a blend with peppermint oil, which helps to soothe and cool aches and pains throughout your body. Peppermint is also said to increase mental alertness, so it’s a good oil to use before that important meeting or school exam. Patchouli is a strong smell, but those who like it tend to use it for everything. This oil helps to reduce anxiety, reduce cellulite and bloating, and will help you in your fight against smoking, over eating, or other addictions. Eucalyptus can help those with respiratory issues by quickly and efficiently opening up the sinuses. It also has cooling properties, so if you suffer from headaches or migraines, try a bit of eucalyptus oil on your temples or the back of your neck for relief. When it comes to stress and anxiety relief, it’s hard to beat the benefits of lavender oil. This delightful smelling herb lends itself well to instilling a sense of calm and tranquility, and can help those with depression. Use lavender in your diffuser or dab it onto your wrists. You can also use it along with laundry soap to make your clothes carry hints of this lovely herb all day. Ylang ylang, like lavender, is another essential oil used for calming and quieting the mind. It can also help soothe nausea, may reduce high blood pressure, and can help improve skin conditions. Essential oils offer powerful aromatherapy benefits you can easily integrate into your life. They are widely available, and enjoyable to use. ABOUT OUR GUEST AUTHOR: Nina Wells, from Steam Shower Store has over 10 years of experience in writing health related topics, and specializes in the health benefits of saunas and hydrotherapy.